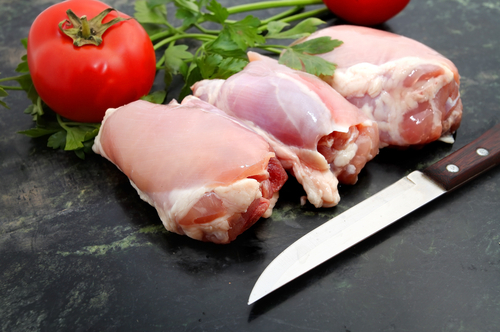 Chicken skinless boneless thighs cut from 1.6 kilo free range chicken so you get a nice sized leg. The chickens are left to reach full maturity so you get a fuller flavour and a much more favourable meat-to-bone ratio than most other products on the market. A real juicy chicken from a real farmer and a real butcher.